The theatre and film world in Serbia has lost another prominent figure by the death of Nebojsa Glogovac, an actor who definitely stood at the forefront of one generation of Serbian actors. In mid-February , the month when the most important Belgrade film festival takes place, our city and the entire movie and theatre community have lost one of the most outstanding actors in the whole region. Nebojša Glogovac passed away at the peak of his professional maturity and left his audience speechless and deeply saddened. As a theatre and movie actor, he put himself into so many roles in so many different ways, that almost anyone who has ever tried to climb onto the theatre stage would envy this wonderful professional. He would always point the responsibility he felt towards his audience, regardless from the role he would assume at that point. And exactly for this approach to acting, and in addition to the superb talent, it is immensely difficult to talk about his best roles. Each of his numerous characters were carefully laid out before the audience, and each time in a different manner. You could always bet that he would surprise and amaze you with his craft, over and over again. All of us who watched him in front of us, with a feeling of particular awe that we felt towards him, can only remind ourselves in the years to come of his great achievements. Below you can find several movies that we from the web site noviapartmani.com (link) picked and that we’ll definitely return to in the future. Ustav Republike Hrvatske (The Constitution) – a film from 2016 directed by Rajko Grlic, based on the screenplay of Ante Tomic, tells the story about the history professor from Zagreb, an extreme right-wing chauvinist, who is at the same time a gay and a transvestite longing for real and genuine love that he had lost tragically. The author places the main actor Nebojsa Glogovac, a lonely and complicated Zagreb pro-fascist intellectual, inside the building with exactly the opposite neighbours – the Serbian police man, who after having got married to a Croatian wife and changed his name and fought afterwards in the 1990s wars on the Croatian side, assimilated, but only to an extent, whereas such a thought looks entirely impossible for the professor Vjeka Kralj. It is pointless to talk at this moment how Glogovac carries such a complex and demanding role throughtout the movie. This is simply a must-watch. Hadersfild (Huddersfield) – a drama by Ugljesa Sajtinac, on stage in Yugoslav Drama Theatre since 2005, and the movie was made in 2007, with the same actors. At first sight, this is the story of a young man returning from emigration in Huddersfield and his reunion with old friends. The story is set in a small town in Serbia, with the main characters: a thirty-year-old, unemployed, make ends meet by giving literature lessons to teenagers and his neighbour Ivan (Nebojša Glogovac), a promising judoist in his teenage years, and today a young man with a history of mental disorders, neurosis, psychotic episodes and heavily medicated. Their encounters and dialogues allow us to understand the hardships and problems surrounding these young people and their friends, as well as relationships and responsibility among and towards each others. Ubistvo s predumišljajem – Based on the novel by Slobodan Selenić, and directed by Gorcin Stojanovic in 1995, this film tells the story of love and war. We come to know а young Belgrade girl Jelena who, amidst the 1990s war falls in love with Bogdan (Nebojsa Glogovac), a young soldier on a recovery after being wounded in a war. At the same time, Jelena is engaged into exploring her grandma’s past, reading through her diaries and planning to write a book about her. Some other actors in the film are Branka Katic, Sergej Trifunovic, Ana Sofrenovic etc. This is an exceptionally emotional film and one of the first roles of Glogovac who already here managed to show his capacities of an actor and gained a lot of popularity. Klopka (The Trap) – Another drama movie from 2007, directed by Srdan Golubovic with the crew of actors including Natasa Ninkovic, Anica Dobra and Miki Manojlovic. This is a bitter story from the transition period in Serbia, where an ordinary man Mladen (Glogovac), a construction engineer working in a state-owned company facing privatization, lives with his wife and son in a rented flat, making ends meet. This ordinary man is faced with a choice no one would ever want to face. In order to ensure the funds for his only son’s surgery, he acceps the „indecent proposal“ to commit a murder for 30,000 eur. The film speaks about the inner struggle, the decay and how far a parent would go to save the life of his child. At the same time, this is the story about the country, once moral society which, after all the wars and sanctions, found itself at the verge of decency and moral. Munje – This film differs from all the films above, in terms of both the genre and the theme. However, just like the four films above, this one has also become one of the iconic achievements in Serbian cinematography. Made in 2001, Munje is an urban comedy directed by Radivoje Andric, based on the screenplay of Srdja Andjelic. The story takes place on a night in Belgrade, with the main characters Mare, Pop and Gojko, as old childhood friends. In this film, Glogovac plays the side role of a corrupt and drug-prone police officer whose dream is actually to leave Serbia and move to Portugal. Although he is not playing the main character in the film, his dialogues have left the memorable impressions and impacted significantly the entire watching experience. “Munje” is not the typical comedy as it portrays, in a funny manner, the difficult transitional period in Serbia in early 21st century. If you are among the few who have not seen this film, you should definitely do it. In addition to these five films, we suggest that you also watch some other achievements of this wondeful actor. 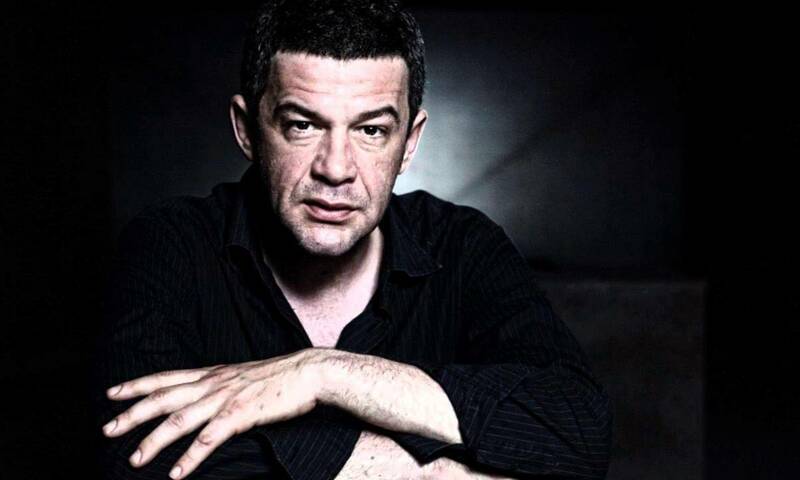 His another notable role comes in the film „Krugovi“ (The Circles) from 2013, while in the last several years, he was frequently engaged in television series, such as Ubice mog oca (My Father’s Murderers) and Nemanjici (The Nemanjic Dynasty), while his last role was in the film „Juzni vetar“ (The Wind of South). Nebojša, we are eternally grateful!